In this online program, you will gain the skills and knowledge to prepare yourself to become an optician and prepare for the American Board of Opticianry (ABO) certification —a certification that’s required by many states. You will learn how to read prescriptions for glasses and contact lenses, become familiar with the equipment opticians use, and gain an understanding of eye anatomy and eye diseases, as well as learn various office responsibilities within an optometrist’s office, including: bookkeeping; tracking inventory and sales; maintaining customer records (including payments and prescriptions). Upon completion this program, you’ll be fully prepared to begin a career as an optician and have the skills and knowledge to advance as an optical manager in this popular and exciting medical field. Be prepared to take the ABO exam, if you have a high school degree or GED. Be knowledgeable about ocular anatomy, eye diseases and conditions, frame styling and adjustment, eyewear selection, glasses lens and contact lens selection, prescriptions, and the equipment and mathematical formulas used in opticianry. Opticians are in high demand in the job market, and the need for eye care professionals is constantly expanding. Better yet, the field of opticianry is full of opportunities—from working as a frame stylist in a retail setting to teaching or working in a medical clinic. In this program, you’ll gain the skills and knowledge you need to obtain an entry-level job as an optician. 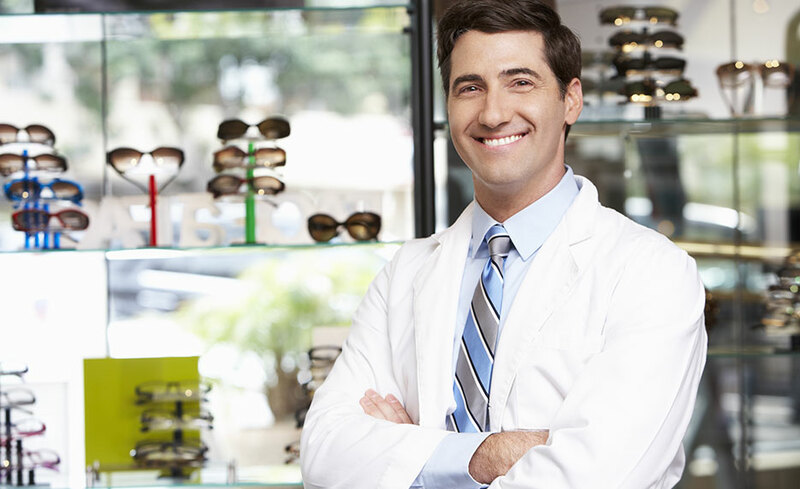 In addition, you’ll prepare yourself to achieve American Board of Opticianry (ABO) certification, which is required by many states and is a stepping-stone to career advancement. I. Lesson 1: What Is an Optician? This program can be taken on a PC only. The program is compatible with Windows 7, Windows Vista, Windows XP, and Windows 2000. It is also compatible with Internet Explorer (versions 5.5 through 8) and Firefox (any version). There are no prerequisites for taking this program. If you plan to take the ABO exam, a high school diploma or GED is required and job experience will be very helpful. Beverly Smith, O.D., has been in private practice as an optometrist since 1984 and has provided training for opticians and optometrists for more than two decades. She also has an MBA in health care management and works as a private practice consultant. Dr. Smith has published articles in professional journals including Optometric Management, Women in Optometry, and New O.D. The Optician Certification program can be taken on a PC or a Mac. The Bookkeeping portion of this course can be taken on either an IBM-compatible computer (PC) or a Mac. The QuickBooks content can be taken on an IBM-compatible computer (PC). If you use a Mac, you must purchase the Mac version of the software, although some of the screen shots within the content may differ. Microsoft Word 2016 and Excel 2016 can only be taken on a PC; it is not Mac compatible.